Happy Birthday To The Nintendo Game Boy! The Nintendo Game Boy was released 25 years ago this week. This release started a juggernaut that continues to this day. Remember When Capcom Sued Data East? Today's post looks at Capcom's copyright lawsuit against Data East over similarities between Fighter's History and Street Fighter II. 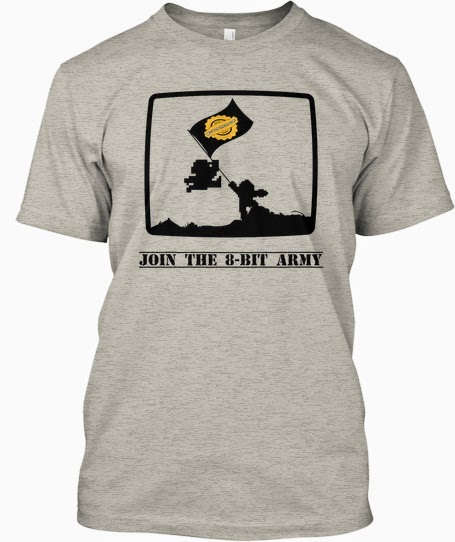 If you're a fan of the blog and want to show support, you can get officially show off your love for the #8BitArmy with this new limited edition shirt. They're only available until 04/29/2014. Thank You For The First Four Years!! Today, April 8th, marks the 4th anniversary of the little blog your eyes have settled upon today, and this post has been put together for just that purpose. If you have any blog post requests, you can reach me via Twitter at http://twitter.com/8bitanimal . Thank you again for the support over the last four years. I recently went out and picked up a few games.